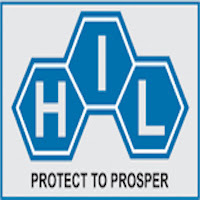 Online Application Details for Hindustan Insecticides Limited HIL Recruitment of 1 Chemical Engineer and 1 Junior Assistant is given below. Application form and duly attested documents are to be sent to Deputy General Manager (HR & Admn), Hindustan Insecticides Limited, Udyogamandal P.O, Eloor, Ernakulam District, Kerala State, Pin – 683 501. In envelope super scribed with 'Application for the Post of Post Name'.